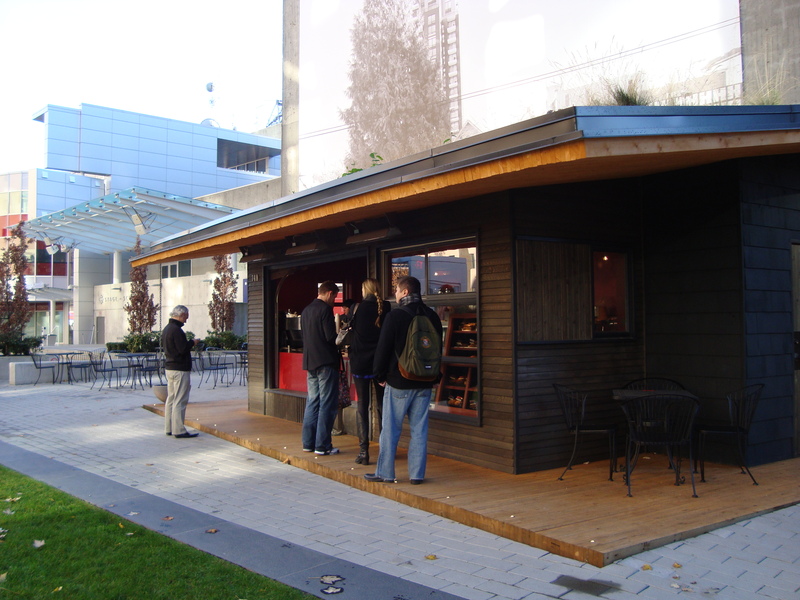 Brief Description: A Vancouver-based coffee chain with over 10 locations. Great coffee and delicious fresh baked goods. I will happily confess that I am a coffee snob. Recently, I have found out that I am not alone; a lot of my colleagues are also self-proclaimed coffee snobs and so we spend a lot of time discussing our favourite cafés and the fundamentals of what makes a good coffee. My new affiliation with JJ Bean began out of necessity. I used to be blindly loyal to Café Artigiano but due to location changes of both, my home and office, I had to expand my choices and now JJ Bean is fast becoming one of my favourite spots for that much-needed caffeine-hit. I have now tried coffee (albeit, only lattes) from their Granville Island, Commercial Drive and CBC Downtown locations, and they have all been delicious. Through trial-and-error I have found that ordering low-fat milk seems to change the flavor and the latte becomes less smooth. Now, I always stick to how they make it regardless of the added calories. Besides smooth, milky lattes the other reason that I go back to JJ Bean is for their freshly baked, still-warm muffins. For coffee shop chain food, JJ’s is by far the most superior. Any place that bakes their food fresh rather than relying on pre-packaged, factory made baked goods, wins my loyalty every time. The type of baked goods available varies depending on the location. The Granville Island location doesn’t sell them at all, the Commercial Drive store sells a lot more variety (including yummy carrot cake) and the CBC Downtown location has muffins, scones, sandwiches, and cookies. The best is when they are fresh out of the oven and still warm. Nothing will get you through a Monday morning better than dragging yourself to work with a warm muffin and a steaming cup of latte.